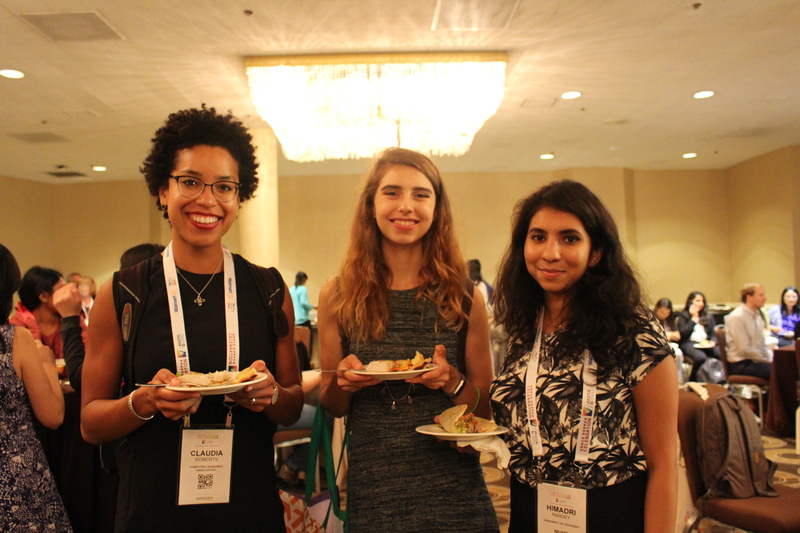 CRA-W participants at the 2018 Grace Hopper Celebration of Women in Computing (GHC). 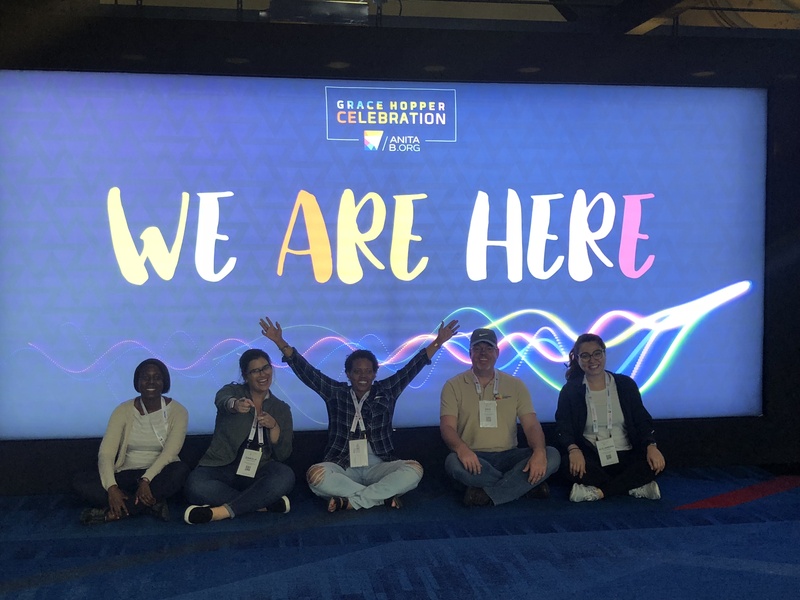 The 2018 Grace Hopper Celebration of Women in Computing (GHC) broke its attendance records again, with more than 20,000 participants gathering in Houston, Texas, from September 26th through September 28th, and CRA-W also broke its attendance records with a variety of programs for GHC attendees interested in research. 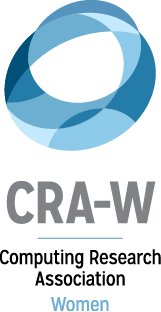 From talks, panels, and mentoring circles to the CRA-W Research Scholars Program to poster presentations and sponsorship of other sessions, CRA-W played an important role at the conference. CRA-W’s programming – organized by A. J. Brush and Andrea Danyluk – kicked off the morning of Wednesday, September 28th, with a mentoring event for more than 90 CRA-W GHC Research Scholars. Started in 2016, this NSF-funded program provides funding for research-interested undergraduate students to attend the conference and guidance for finding and navigating the research content at GHC. It also supports three events at the conference where scholars can interact with each other, as well as meet senior research mentors. Since 2017, CRA-W member Tracy Camp has organized a session jointly with ACM-W and NCWIT. This year, Camp, Catherine Ashcraft (NCWIT), Lucy Sanders (NCWIT), Jodi Tims (ACM-W), presented “Avoid Common Pitfalls and Make Your Diversity and Inclusion Efforts Count!” In this session, they presented programs, resources, and tips for making organizations’ diversity and inclusion efforts most effective. The session was interactive, and attendees also shared challenges and successes, and brainstormed about collaboration ideas for new projects. CRA-W Board Member Susan Rodger demonstrates passing parameters during the CRA-W session on effective teaching tactics. For CRA-W, Wednesday was a day of mentoring for graduate students, with talks on “It’s a Marathon, Not a Sprint: Balancing Work and Life in Grad School and Beyond,” presented by Lydia Tapia (University of New Mexico) and Hai Ah Nam (Los Alamos National Lab), “Building Your Academic Professional Network,” by A. J. Brush (Microsoft) and James Mickens (Harvard University), and “Finding Your Dream Job with a Ph.D.,” with panelists Victor Bahl (Microsoft), Kelly Shaw (University of Richmond), and Jess Smith (Pacific Northwest National Lab). It was also a day of mentoring for prospective graduate students: Dilma Da Silva (Texas A&M University) and Claudia Roberts (Princeton University) presented “I’m a Student Again: Heading to Graduate School After a Break.” This was a new topic for CRA-W, and it was met with very enthusiastic response. Wednesday’s focus on students didn’t end there. CRA-W hosted six tables at the Mentoring Circles session, providing small-group mentoring primarily for undergraduates. The tables’ topics were “How to Be Successful Post-Bachelor’s,” “Is Graduate School for You?,” “Master’s or Ph.D.?,” “How to Successfully Apply to Graduate School,” “What is Computing Research? How Can Undergraduates Participate?,” and “Research Careers: What Are The Options? How Do I Get There?” In this two-and-a-half hour session, students could move from one mentoring circle to another every 20 minutes, to seek information and advice. CRA-W board members A. J. Brush and Andrea Danyluk recruited 12 experienced and knowledgeable mentors for the session, who generously volunteered to talk with students. CRA-W’s talks and panels on Thursday, September 27th concentrated primarily on faculty, with talks on “Effective Teaching Tactics,” presented by Cynthia Lee (Stanford University) and Susan Rodger (Duke University), “Turning your Research into a Startup,” presented by YY Zhou (University of California San Diego and Whova) and Karina Edmonds (Google), and “Coping with Booming Class Enrollment,” presented by Tracy Camp (Colorado School of Mines) and Andrea Danyluk (Northeastern University and Williams College). A session for a broader audience was “Building Your Professional Persona,” presented by Soha Hassoun (Tufts University) and Ayanna Howard (Georgia Tech). An important and timely session, “Conferences, Universities, and Companies are Work Places, Not Pickup Bars,” by Kristian Lum (Human Rights Data Analysis Group) and Kathryn McKinley (Google) was especially powerful. CRA-W student researchers were also busy on Thursday. Twenty students who had participated in CRA-W’s two REU programs–Distributed Research Experience for Undergraduates and Collaborative Research Experience for Undergraduates–presented posters at a poster session that the CRA-W research scholars, among many other conference participants, attended. The students were excited for the opportunity to share their research and to learn from their peers. 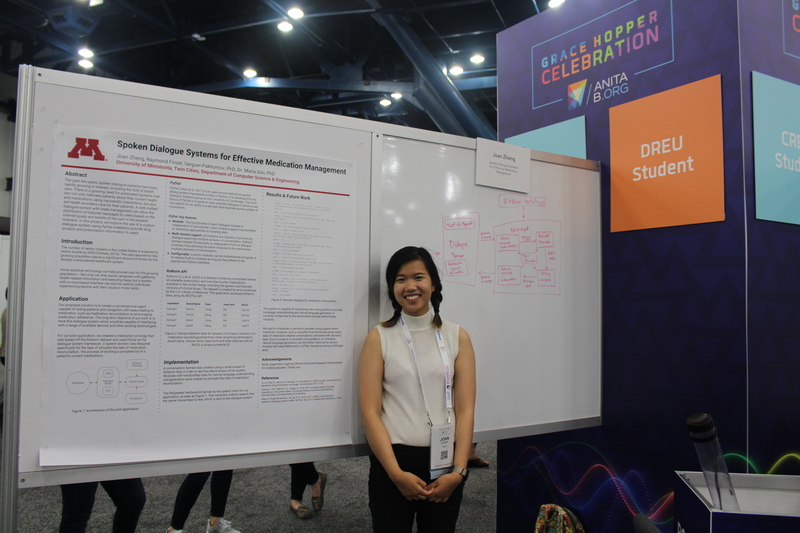 A DREU student presents her research at the poster session. The main CRA-W event on Friday, September 28th, was the closing mentoring session for CRA-W GHC Research Scholars. This event brought together students, speakers, and mentors for discussion, and many participants left the event and the conference with new networks, friends, and excitement for research. Energetic CRA staff members Daniela Cardenas, Alejandra Guzman, and Erik Russell helped ensure the CRA-W booth at GHC 2018 was always staffed and that the programs ran smoothly. 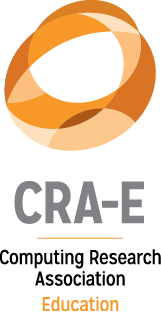 CRA-W partners with AnitaB.org to offer career advice to hundreds of GHC attendees, as well as to help ensure these attendees are aware of other CRA-W programs. Many speakers for the CRA-W sessions were either current or former CRA-W board members. 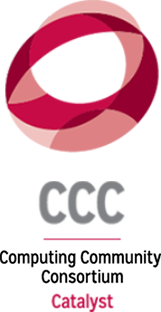 CRA-W’s GHC 2018 programs would not have been possible without the additional support of many mentor volunteers. 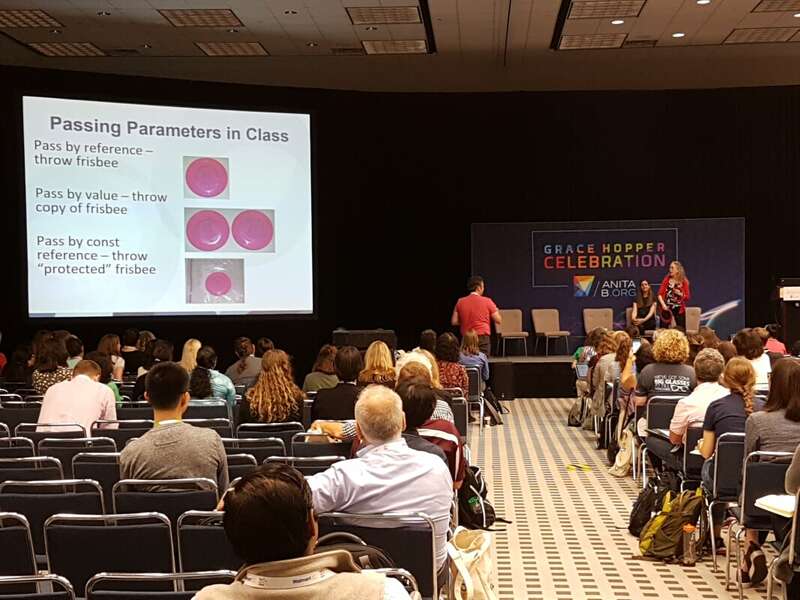 Details on the CRA-W sessions at GHC 2018 are available here: https://cra.org/cra-w/career-mentoring-workshops-at-grace-hopper/. A. J. Bernheim Brush has been embedded in the Cortana Product Group at Microsoft since January 2016. She spent the previous 11 years with Microsoft Research. Her research area is Human-Computer Interaction with a focus on Ubiquitous Computing and Computer Supported Collaboration (CSCW). Her research has received a 10-year impact award and several best paper awards and nominations. 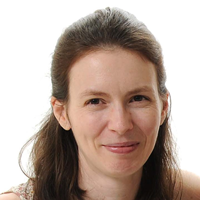 Andrea Danyluk is the Mary A. and William Wirt Warren Professor of Computer Science at Williams College. She is currently on leave from Williams and serving as the Global Director of Align at Northeastern University. This is a Master’s program in computer science for students who did not study CS as undergraduates. A significant goal of the program is to increase diversity in computing by reaching out to the full range of college educated individuals, some of whom might not have felt that CS was right for them as undergraduates. CRA staff welcomes attendees to GHC 2018.